The latest findings in Alzheimer’s clinical trials. St. Joseph home health care experts, Home Sweet Home In-Home Care reports that with as many as 5.7 million seniors currently diagnosed with Alzheimer’s disease – a full 10% of the over-65 population – and that number anticipated to climb to as many as 14 million by the year 2050, the race is on as scientists scramble to find a remedy or at the least a successful treatment option. And besides the emotional toll the condition takes on both those diagnosed and their family members, the financial impact is astonishing, costing as much as $277 billion in 2018 and likely to grow to over $1 trillion by 2050. Neuroprotection: Quite a few drugs are displaying promising results in combating neuron damage and improving neuron survival and regeneration. Chronic Inflammation: Prior studies have tried to link inflammation with Alzheimer’s; however, the anti-inflammatories tested proved ineffective. Having said that, more modern research includes newer inflammation-targeting drugs, directed at improving the immune cells and removing toxic proteins. Genetics: Research that started 2 years ago in exploring epigenetic therapy is now moving forward to incorporate a chemotherapy medication to try and regulate the expression of certain genes. 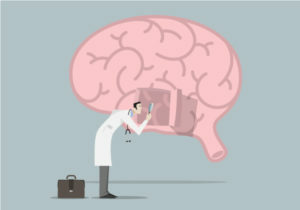 Repurposed Medications: Less expensive and with less testing requirements than new drug development, trials of current medications to test their potency against Alzheimer’s are underway. Early Intervention: A fresh emphasis has been placed on treating patients who exhibit biological markers indicating an increased risk of developing the condition, but not yet exhibiting symptoms. Even while these trials may involve invasive medical procedures, such as spinal taps, the capacity to prevent or at the least slow the progression of Alzheimer’s is really worth considering. The St. Joseph home health care team at Home Sweet Home In-Home Care will continue to monitor Alzheimer’s drug trials and any other progress in the journey towards a remedy. In the meantime, our agency is also open to provide specialized, compassionate, and highly skilled Alzheimer’s care for seniors. We start with building a personalized plan of care to deal with immediate concerns, and then monitor that plan ongoing so that the correct level of care is provided as needs change – right within the comfort of home. Contact us at (866) 229-2505 to learn more or to schedule a free-of-charge in-home assessment.